Every so often I receive the plea for help to decorate a large space, like a church gym or recreational building for an upcoming child's wedding or wedding reception. I'm often lending out my vintage decor and items in my garage for such events. And this fall is no exception! A dear friend's daughter has an upcoming wedding and I was so excited that she asked me to help with her invitations as well decorating for her reception. So thankfully I was asked to do a product review for Commerical Silk. 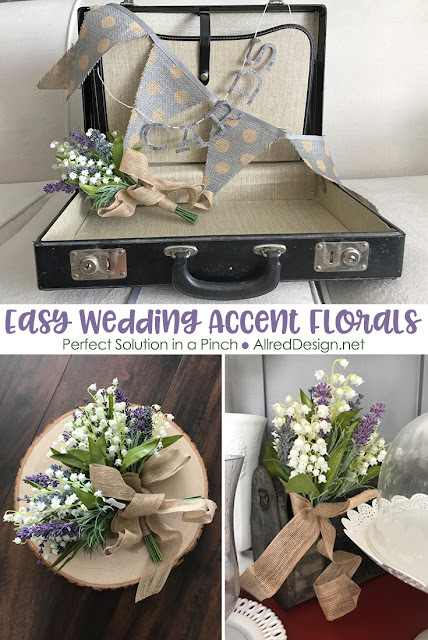 Just what we needed for accent florals for the reception decor. Ordering off their website was simple and they had so many choice that fit my color needs. Once I received the product, I was pleasantly surprised at the quality. I ordered this package of six (6) sprays and was thrilled that they were the perfect size for the decor options we were going to be using at the reception.